Pregnancy makes a woman go through a lot. Both mentally and physically, a woman goes through hell storm. Though her mind is at peace and relieved after the baby gets delivered, her physical self needs maintenance and care to get back to its original self. But there’s a catch in this too. It should be kept in mind what the body has gone through and thus the exercises should be approached accordingly. Hopefully, what we are providing will answer all your questions and help you regain your figure back. The first thing which should (and does) come to your mind is, when to begin the exercises. For this answer, you have to consult your physician or doctor. 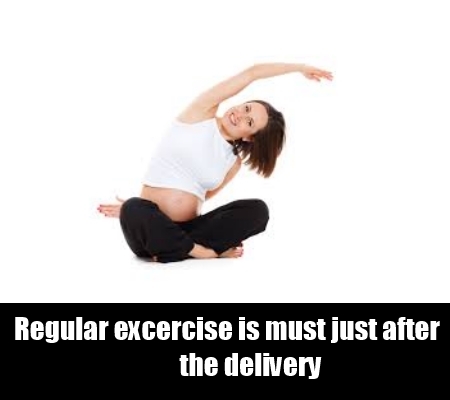 There are exercises, though, which can be pursued right after a week of the delivery, but still consultation with the doctor is highly advisable.Be cautious in your approach with the exercises; especially through the immediate days after the delivery. Do not strain any part of your body. If it hurts bad, stop and start on the next day. Remember, you are exercising to get better for yourself and your family; getting hurt and sitting on the side benches won’t help. Here are a few short exercises to loosen-up the tension and get your body ready for the harder exercises. Count each day after the first week of the delivery. Lie down face up, flat and breathe in deeply. 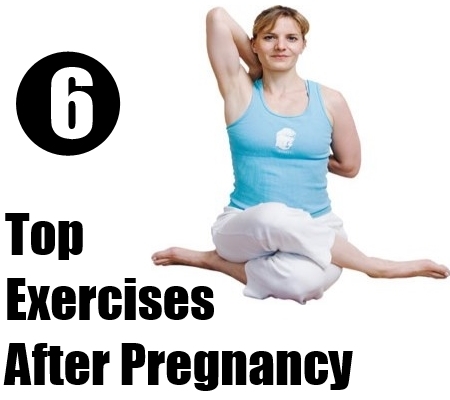 While you are breathing deeply, try expanding your abdomen slowly and softly. When exhaling, partially close your lips and teeth to make a hissing kind of sound and draw in your abdomen region. Lie down flat on your back and place your hands at your sides (right angle to your body), along the line of your shoulders and the palms facing upwards. Slowly, exhale and bring both the hands together above your breast. Always keep the arm moderately stiff. As the two hands almost-claps, bring them back to their original position. Lie down flat on your back with your arms rested at your side, facing down. Keep your legs straight and about one foot apart from each other. Balancing the lower half of your body on your toes, lift your buttocks and arch your back to lift the lower part of your body up. Stay for a while and return to original position. 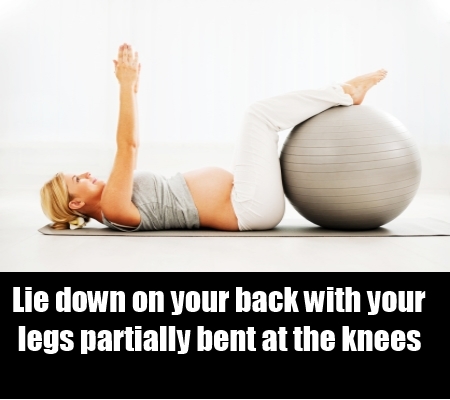 Lie down on your back with your legs partially bent at the knees. Now, holding the pelvis to its place, bring your shoulder and head region upward and reach for your abdomen. Halfway through, stop and return to the original pose. Repeat. Lie down straight, your legs extended straight and your hands beside you, faced down. Slowly, bend the knee of one (say left) leg and bring the heel towards your buttocks. At the same time, bring the right hand toward your left thigh and lift your head upwards. Repeat with the other leg and keep on repeating 8-10 times and a set of 3. 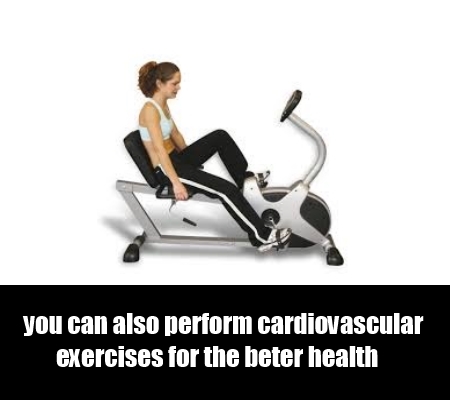 Like these, there are many more exercises to loosen up the stiffness and then there are the exercises, which would make your muscles healthier, like cardiovascular exercises, crunches, etc.